It’s a relatively unknown field of hopefuls trying to unseat incumbent Republican Blake Farenthold in the newly configured U.S. House District 27, an area that stretches from Bastrop County south to Nueces County. The field includes former Bastrop County Judge Ronnie McDonald — well-known in Central Texas but not in the most populous part of the district. His three opponents in the Democratic primary — Rose Meza Harrison, Murphy Junaid and Jerry Trevino — are from Corpus Christi, where Farenthold also resides. The primary election is May 29. Early voting began Monday. “I’m known in Bastrop, Caldwell and Gonzales counties, so I’m campaigning 24/7,” said McDonald, 41, who served 14 years as Bastrop County’s top administrator and led the county through its worst natural disaster, the wildfires last September. McDonald is not fazed by his underdog status. No one gave him a chance when he became a county judge at age 27. He did it by going from door to door, which is his strategy again. “This is not about connecting with people for their vote but about connecting to get to the heart of the people and find out what is important to them,” he said. He points to his experience in balancing a county budget and working across party lines to do that. Other than one quote from the dimwitted incumbent Farenthold, that’s all you get from the candidates themselves. Several paragraphs are dedicated to stuff from outside experts who discuss how the district isn’t particularly competitive. Maybe so, but it still would have been nice to hear from the people who are running for the seat. I’ve said that before, haven’t I? You can hear from Ronnie McDonald in the interview I did with him here, and from Rose Meza Harrison here. I didn’t get to interview Jerry Trevino, but he picked up the endorsement of the Corpus Christi Caller. The winner of a three-way primary between Ciro Rodriguez, Pete Gallego and John Bustamante will become the Democrat’s best hope to unseat Republican Rep. Francisco “Quico” Canseco with strong GOP backing this fall. “This is a must-win race for Democrats. The stakes are very high,” said David Wasserman, a political analyst with The Cook Political Report, a nonpartisan newsletter. Rodriguez is mired in a close race with Gallego, a popular state representative from Alpine and the favorite of the Democratic establishment that financially supports his campaign. Bustamante, a patent lawyer and son of former U.S. Rep. Albert Bustamante, D-San Antonio, who represented the district in the 1980s and 90s, also is seeking the Democratic nomination. The race tightened in the closing weeks, said Larry Hufford, a professor at St. Mary’s University in San Antonio. “It certainly could go either way. It depends on turnout and where the turnout is,” Hufford said. Rodriguez’s strength is San Antonio and Eagle Pass; Gallego’s is in the western reaches of the district that he has represented in the state House for more than 20 years. Hufford would not rule out a runoff. “The wild card is Bustamante,” he said. I’ve heard that Bustamante has been pretty impressive out on the trail. In a world where I had more time and more certainty about who would respond to my emails and when, I’d have tried to contact him for an interview. My interview with Pete Gallego is here and with Ciro Rodriguez is here. The story notes that Rodriguez has been under attack from environmental groups for a vote he cast in 2009; that may have an effect on the outcome as well. In the challenging race for the Austin-to-San Antonio district, Doggett is running in a new, majority Hispanic district against Bexar County Tax Assessor-Collector Sylvia Romo, a Latina politician who has been in public life in Bexar County for 20 years. Furthermore, Doggett is seeking votes from hundreds of thousands of citizens he has never represented. Walter Clark Wilson, an assistant professor of political science at the University of Texas-San Antonio, said Doggett’s efforts show he’s taking seriously the primary race for District 35, one of four congressional districts that were created in Texas to reflect population growth and to allow Hispanics to elect the candidate of their choice. “It would make sense that Lloyd would dip into his significant war chest for this particular race,” Wilson said. It also makes sense that he’d spend the majority of his time courting the party establishment in South Texas. Doggett, 65, has won the support of South Texas insiders and union members, who are expected to help turn out voters for him, Wilson said. According to Federal Elections Commission reports, Doggett has pulled in more than $1.1 million since the race began. Romo, who got into the contest later, has raised $60,800. Maria Luisa Alvarado, who ran unsuccessfully for lieutenant governor as a Democrat in 2006, has raised only about $5,000. Romo, 69, has spent about $47,000; Doggett has spent $1.1 million. Harold Cook, for one, thinks that turnout so far is not favorable to Doggett. I guess that depends on how well he’s been doing in Bexar County and other points south of Austin. My interview with Sylvia Romo is here; as you know, I was never able to get an appointment to talk with Doggett. I’ll try again for the general election if he survives the primary. Stockman is alluding to the front-runner and best-known name in the race, state Sen. Mike Jackson, R-La Porte, who is among the more conservative lawmakers in Austin. Ah, Steve Stockman. He was crazy before crazy was cool. For those of you who don’t remember the 90s or weren’t here to experience his particular brand of nuttiness, let me take you through a stroll of the Houston Press archives for a taste of how things were. It’s just a shame that Stockman isn’t running in CD14, because a rematch with Nick Lampson, who mercifully ended Stockman’s Congressional career back in 1996, would be too awesome for words. An interview with Democratic candidate Max Martin is on my to do list for November. Here’s a roundup of campaign finance reports for Congressional races and candidates of interest. I’ve been collecting links to the reports for contested Democratic races on my 2012 primary pages. Nick Lampson had a typically strong fundraising report, which brings him up to parity with most of his potential Republican rivals. James Old, Michael Truncale, and Randy Weber (by the way, welcome to the district, Randy) have raised more in total – they’ve also been in the race longer – but only Old has more cash on hand, and that’s likely to change by the time the primary rolls around. Lampson should be in good shape to take on whoever emerges from that cattle call. Is it just me, or does anyone else think that Mike Jackson‘s fundraising in CD36 has been less than impressive? Just over $200K total, with $50K of that being loans, and $75K on hand, for a veteran legislator who’s been running since the beginning and is the consensus favorite? Sure, he’s got a clear path to the seat in November once he vanquishes his unheralded primary opponents, but that’s my point: The guy who’s gonna win generally has no trouble raking in the dough. Anyone want to venture a theory about this? Along the same lines, what in the world is John Culberson spending all that money on? He’s got no primary opponent, a district that’s drawn for him to win, Democratic opponents who haven’t raised any money, yet he has a paltry $62K on hand, which is actually an improvement over the December report. He’s spending it as fast as he’s collecting it, and I have no idea why. UPDATE: As Mainstream notes in the comments, Culberson does have a primary opponent, Bill Tofte. My confusion on that point stemmed from the fact that the FEC shows Tofte in CD36. Of course, they also show Ciro Rodriguez in CD35, plus a few other misplaced people. I presume Tofte re-filed in February and I missed it. My apologies for the confusion. At least now Culberson’s spending makes sense to me. Beto O’Rourke now has more cash on hand than incumbent Rep. Silvestre Reyes, but Reyes has raised more than twice as much, spent almost five times as much, and recently received the endorsement of President Obama and former President Clinton. I don’t know offhand how much the Campaign for Primary Accountability may be spending against Reyes. It’s basically a two-person affair in CD30, at least if you go by the fundraising reports. Incumbent Rep. Eddie Bernice Johnson and challenger Taj Clayton have far outraised challenger Barbara Mallory Caraway; Johnson holds a better than two-to-one lead over Clayton in cash on hand. This is another race in which President Obama is supporting the incumbent, and it’s one in which things have gotten a little personal. Pete Gallego has raised $590K, more than double the haul of former Rep. Ciro Rodriguez, who is still shown as running in CD35; several candidates who are now in CD34 are still shown in CD27 as well. Gallego has a ways to go to catch up to Rep. Quico Canseco, whose buddies are well aware he’s in for a fight this November. As far as I know neither Obama nor Clinton have weighed in on this race, but the League of Conservation voters endorsed Gallego recently. Rep. Lloyd Doggett is again a million-dollar man and surely holds a wide lead in every financial category in his race. I can’t say exactly how wide because as of this posting, the March 31 report for Sylvia Romo has not been posted, but Postcards says Romo raised $52K between January 1 and March 31; add that to the $35K reported in her December report, and you get that Doggett has raised more than ten times as Romo. While the President has not offered an opinion on this race, however, Romo has the backing of most of the San Antonio political establishment and may wind up garnering some support in Austin after Statesman columnist Ken Herman wrote about her age in a way that probably won’t endear himself to some voters. There’s a lot of money in the open seat cattle call of CD33, with a good chunk of it coming from the candidates themselves. David Alameel, who started in CD06 before the San Antonio court redrew its interim map, has loaned himself over $2 million so far. I have to say, that’s just nuts. I don’t know that it’s even possible to spend that much money in a Congressional primary; if it is, I’m not sure it’s advisable. The record of zillionaire first time candidates in Congressional races is not enviable. Former State Rep. Domingo Garcia wrote a $300K check for his campaign, and Chrysta Castaneda gave herself $65K. State Rep. Marc Veasey had the best non-self-funded haul at $177K, followed by former Dallas City Council member Steve Salazar at $77K. There are a couple of reports still outstanding. The Lone Star Project has an analysis of the candidates, though I’m pretty sure they’re not an unbiased source on this. Joaquin Castro isn’t in a primary, but he sure continues to bring in the donations, a development that will undoubtedly make eyes twinkle at the DCCC. I could compare his performance to that of Mike Jackson, but it’s not really fair to do so, as Castro was going to be in a smoking hot primary for much of the cycle, and much of his total is the result of that. I still think Jackson is underperforming, though. Ronnie McDonald made a big splash when he announced he was leaving his post as Bastrop County Judge to pursue a seat in either the Texas Lege or Congress, but so far his choice to go for CD27 hasn’t translated to fundraising success. Rose Meza Harrison, who was in the race before he was, has outraised him so far and has more cash on hand, though neither is remotely in Rep. Blake Farenthold‘s neighborhood. I hope McDonald responds to my email requesting an interview, I’d love to ask him why he chose this race, which always seemed objectively less winnable to me. Republican Reps. Ralph Hall and Smokey Joe Barton have been targeted by the Campaign for Primary Accountability, but it’s not clear to me they have much to worry about. Hall isn’t exactly swimming in cash, but his main opponent has collected less than $10K of other people’s money. Of Barton’s opponents, Joe Chow has raised a respectable $162K, but he’s got a high burn rate and has only $28K on hand. Itamar Gelbman‘s $185K is almost entirely his own money, but he’s hardly spent any of it. CPA has its work cut out for it. To put this in some perspective, Barton has $1.3 million on hand after having raised $976K and spent $1.1 million. CPA has raised $1.8 million and spent $1.2 million, leaving it with $588K on hand; their totals are through February 29, not March 31. They do have a stable of well-heeled donors, though curiously enough none of the $100K+ club has given anything in 2012. That could have changed since March 1, or could change any day, of course, but my point is that some targets are softer than others. Finally, in CD34 Filemon Vela reported $245K total, of which $150K was his own. That leaves Armando Villalobos with the biggest actual haul at $157K. Ramiro Garza ($138K, including $58K in loans), Denise Saenz Blanchard ($104K, $10K in loans), and Anthony Troiani ($56K) followed behind. You can find a list of all interviews for this cycle, plus other related information, on my 2012 Texas Primary Elections page. You can also follow this blog by liking its Facebook page. Barring anything unusual, I’ve done all of the Harris County interviews I’m going to do at this point. You can see who I’ve spoken to and listen to them all on the Harris County primary page. You may have noticed that there’s still a couple of weeks till early voting, and you might be wondering what I’ve got left to bridge the gap till then. The answer is that I’m working on interviewing candidates in the multitude of contested Congressional primaries. This post is one part what to expect and one part request for help. That last list could grow depending on how industrious and/or delusional I get. This is where you come in. My preferred modus operandi for contacting a campaign is to find someone who knows someone and ideally get an introduction or at least a name and a responsive phone number or email address. What I like to avoid where possible is cold calling or sending email to a generic email address. I presume, or at least I hope, that my readership includes people who are with or know someone who is with these campaigns, and I’m including the penultimate group as well as the last one. If you are one of these people, I would greatly appreciate it if you would contact me and let me know so I can take advantage of your connections. You can email me – kuff at offthekuff dot com – you can send me a message via Facebook, or you can leave a comment on this post and tell me how to reach you. If all I ever publish are the six interviews I’ve already done, I’ll still feel pretty good about my accomplishment, and I’ll work on tracking down the stragglers at the TDP convention in June. Needless to say, I’d like to do more before the primary. So please help me if you can, and we’ll all be the better for it. Thanks very much. I would not call it a good thing to come out of the updated interim maps since there’s a good chance one of these jokers will get elected, but for those of you with a morbid fascination with sideshows, the two Williams non-brothers who have spent the past year or so seeking out an office to run for have once again landed in the same race. Former Texas Secretary of State Roger Williams will join the Republican primary for a congressional seat that stretches 200 miles from the southern edge of Tarrant County to Hays County, south of Austin. “We’re excited and ready to get going,” Williams told the Tribune Thursday morning, as he was preparing to file with the state GOP. Williams initially set out to run for U.S. Senate, but switched to a race for Congress after the Legislature drew new maps. But those maps died in court, and the Weatherford Republican ended up in a district, CD-12, with an incumbent — Kay Granger, R-Fort Worth — that he didn’t want to challenge. Now he’s jumping into CD-25, where the incumbent — Democrat Lloyd Doggett of Austin — has decided to move into a neighboring district where a Democrat has a better chance. Williams, a car dealer and former Texas Secretary of State, would join a pack of other candidates that includes former Texas Railroad Commissioner Michael Williams (no relation), businessman Dave Garrison, former GOP consultant Chad Wilbanks and several others. Roger Williams was going to run for CD33 originally, but it was re-drawn as a Democratic seat. No worries, he’s got the money to afford a house and a campaign wherever he wants. R-Dub managed to drop nearly two million bucks on his futile Senate candidacy, with another $425K of his own money for his brief run at CD33. I can’t wait to see how big a check he writes himself for this one. PoliTex has more. Meanwhile, the Democratic primary in CD23 is on again as former Rep. Ciro Rodriguez made his move to that race, where he will take on State Rep. Pete Gallego for the right to challenge freshman Rep. Quico Canseco. This was the original matchup based on the Lege-drawn maps, then Ciro moved to CD35 when the original interim maps came out and State Rep. Joaquin Castro became Rep. Charlie Gonzalez’s heir apparent. Gallego threw a pre-emptive strike at Ciro a few days ago, but apparently it didn’t work. So this is back on, as if we didn’t have enough contentious primaries to watch. And the most contentious of them all may be in CD33, not too surprising considering it’s a new strong-Democratic seat in an area that has had precious few opportunities for Democratic Congressional hopefuls. State Rep. Marc Veasey, Fort Worth City Council member Kathleen Hicks, former State Rep. Domingo Garcia, former Dallas City Council member Steve Salazar, who’s being backed by State Rep. Robert Alonzo, who’s a longtime rival of Garcia’s…this one will be manna for junkies, and will undoubtedly leave blood all over the place. And there’s still one more day of filing to go. Is this finally the end? Federal judges in San Antonio unveiled maps for the state’s congressional delegation and for the state House this afternoon, and they did it in time to allow the state to hold its delayed political primaries on May 29. The court also signed off on Senate plans agreed to earlier this month. Here is a link to the Congressional map on the Texas Legislative Council’s redistricting website. Here is a link to the House map on TLC’s website. Here is a link to the Senate map on TLC’s website. And here (courtesy of TxRedistricting.org) are links to the court’s orders on the three maps: Congress,House and Senate. Barring appeals, these maps will be used for the 2012 elections. Below are the new maps. We’ll fill in details throughout the afternoon. 2008 election results for the State House are here and for Congress are here. See here and here for 2010 data; I am told that there will be more stuff uploaded to the TLC FTP site soon. By all accounts I’ve seen, as well as my own two eyes, the maps are substantially the same as the Abbott maps, though at least in the Lege there are some differences – HD43 is more Republican, HDs 78, 80, 117, and 137 are more Democratic. I have not had the time to do a thorough examination, but if you start with Plan H303 (2008 data here) you’ll be pretty close. The good news is that HDs 137 and 149 in Harris County were restored, with HD136 going away; HD144 remains winnable by a Dem though GOP-leaning. Unfortunately, that means HD26 will retain its bizarre, GOP-friendly shape, modulo anything the DC court may do. As for Congress, Rep. Lloyd Doggett will run in the new CD35, though presumably not against Joaquin Castro, who (again presumably) will stick to the open CD20. What happens to Ciro Rodriguez and Sylvia Romo in CD35 – Rodriguez at one point was running in CD23 – remains to be seen. And all this assumes there are no further appeals. Which is no guarantee given that there’s something for everyone to complain about. But maybe, just maybe, we can now start planning for primaries. Next step is to re-open filing, and we’ll go from there. Hang on, it gets faster from here. BOR has more. There was no primary information in the order, which is pretty thin. The parties have until Wednesday at 2:00pm to get primary deadline information to the court, so it will be forthcoming and it looks like a go for May 29th. The Court adopted the Compromise map for the Congressional districts. Yes, that means that Travis is split five ways and Doggett currently lives in a Republican district or could move to a Hispanic majority Democrat district. It also means that there is a coalition district in the DFW area, however, it leans more toward Hispanics than African Americans. Could be a fight between Veasey and Alonzo – well, and a whole lot of people. The Senate Map is the legislatively adopted map with the exception that SD 10 is the benchmark (Davis’ old seat) and a couple of precincts were moved to allow SD 9 to wrap around. Welcome Senator Birdwell to Tarrant County. In the House, The Court went with the Compromise map, except that they did not split Nueces County (meaning Scott/Torres are paired and Hunter and Morrison are not), they accepted MALC’s version of Bexar County making Garza’s district more Hispanic and D, and made some changes to the compromise in Harris County between Murphy, S. Davis, Hochberg which may be to increase Hochberg’s Hispanic numbers, but I have not run those yet. Bexar County Tax Assessor Collector Sylvia Romo announced she will continue her campaign for Congress in the newly reconfigured Congressional District 35 following the release of new interim redistricting maps by a three-judge federal panel in San Antonio. “I am pleased that the Federal Court has concluded its work and am ready to mount an aggressive campaign to bring new leadership to the citizens of Bexar, Travis, Caldwell, Comal, Guadalupe, and Hays Counties,” Romo said. “We need leaders in Congress who will do more to ensure job creation in our area, act on the concerns of our veterans, and fight to protect Social Security and Medicare,” Romo continued. “We need a member of Congress who will go to Washington and do the serious work of the people in this district,” she said. Your move, Ciro. Here’s the Chron story on the maps, which notes that the DC court could (among other things) put Doggett’s CD25 back together again. It would be for 2014 if that were to happen, and that’s assuming the Lege doesn’t take another bite at the apple in 2013. So yeah, my original predictions that this would all still be in flux through the 2016 election continues to hold. UPDATE: More from the Lone Star Project. UPDATE: Here’s the TDP’s statement. And here’s word that the re-filing period will run from Friday through Tuesday. I’ll update my elections pages as we go. Today, State Representative Marc Veasey announced his candidacy in the court ordered North Texas Congressional District 33. The new court-drawn district is heavily Democratic and encompasses nearly all of Veasey’s current state house district. Veasey led the fight to overturn the Republican-controlled redistricting plan and worked hard to make sure a new Congressional district is located North Texas. “From early in this election cycle it became clear that North Texas should receive an additional Congressional district. I’ve been urged by friends and colleagues to run for the new District 33 to insure that working families have a voice in Congress. The new district overlaps almost all of my current House District and includes neighborhoods where I have many friends and supporters. I will be proud to stand with them and fight for them in the US House,” said Veasey. The new district encompasses African American and Latino neighborhoods in Fort Worth and Dallas that overall were easily carried by President Obama in both the primary and general elections. Tarrant County voters made up 60 percent of the turnout in the 2008 and 2010 Democratic primaries. More importantly, Veasey’s current state house district (95) forms the Tarrant County base of this new Congressional district and accounts for over 30% of the expected primary turnout giving Veasey a significant edge in the race. “I am honored to have a coalition of support within many neighborhood and civic associations and will work hard in Congress to fight for good paying jobs, access to healthcare and be an ally for President Obama. He needs strong support from new Members of Congress to help turn back Republicans who will stop at nothing to undermine the President on the key issues most important to us all.” Veasey said. Here’s a statement from MALC about the interim maps. – Still no report yet from David Dewhurst and Paul Sadler. I can’t say I’m expecting much from Sadler, but I’m hoping to be pleasantly surprised. As for Dewhurst, it’ll be interesting to see how his contributions from others compare to his self-funding – he would surely like to do better than Tom Leppert in that regard – and to the contribution totals Ted Cruz puts up. – There’s Jim Turner in East Texas, who ran his last race in 2002 before being DeLayed into retirement, still sitting on a million bucks in his campaign treasury. Why it is that he hasn’t ever used any of that money to help the Democratic cause, and why it is that we rank and file Democrats tolerate that sort of behavior from so many current and former officeholders is a mystery to me. – Nick Lampson’s late entry into the CD14 race produces a small fundraising total so far. Given his presence on the early DCCC watch list, I expect much bigger things in the March report. – Joaquin Castro continues to hit it out of the park. Assuming the courts cooperate, you can see why the DCCC is expecting big things from him. – A couple of Democratic primaries just got more interesting, as challengers outraised incumbents in both of them. In CD16, former El Paso Council member Beto O’Rourke took in $211K to Rep. Silvestre Reyes’ $177K. There’s a third candidate in this race, but he has no report listed. The Lion Star blog discusses what this means. – Meanwhile, in CD30, challenger Taj Clayton raised $212K to Rep. Eddie Berniece Johnson’s $95K. State Rep. Barbara Mallory Caraway took in $16K. Clayton’s accomplishment is more impressive given his late entry into the race – he did it all in just ten weeks. – Other Democratic races of interest: David Alameel wrote himself a $245K check for his challenge to Smokey Joe Barton in D06. His co-challenger Don Jacquess had no report. New dad Dan Grant raised $37K in CD10. State Rep. Pete Gallego took in another $137K in CD23 to bump his total to $288K for the cycle. Rep. Lloyd Doggett has over $3.3 million on hand after raising another $150K. Armando Villalobos led the pack in CD27 with $134K raised, followed by Ramiro Garza with $70K and Rose Meza Harrison with $15K. However, Villalobos spent $116K to Garza’s $3K, leaving him with only $16K on hand to Garza’s $67K. State Rep. Mark Veasey collected $46K for CD33, putting him ahead of Kathleen Hicks, who had $5800. Finally, former Rep. Ciro Rodriguez was actually out-raised by Sylvia Romo in CD35, with her getting $35K to his $27K, but he maintained $99K in cash to her $30K. – On the Republican side, there’s a lot of money flowing into CD14. I don’t know who James Old is, but he’s taken in $433K for the cycle and has $310K on hand. Following him are State Rep. Randy Weber ($313K for the cycle, $206K on hand); Michael Truncale ($269K for the cycle and $149K on hand); and Felicia Harris ($161K for the cycle and $103K on hand). State Sen. Mike Jackson has a surprisingly paltry $61K on hand for CD36, having raised $130K for the cycle. No one else has as much as $10K on hand in that race, however. The Williams non-brothers, Michael and Roger, have plenty of money available to them but as yet not district in which they would want to use any of it. I’m sure they’re burning candles in hope of a favorable map from the judges. That’s about all I have for now. The good news for me is that with the delayed primary, the next reports won’t be out till April. It won’t be Doggett versus Castro but it still ought to be interesting. The battle for a newly drawn congressional district will pit two seasoned Democratic politicians against one another: Bexar County Tax Assessor-Collector Sylvia S. Romo and former U.S. Rep. Ciro Rodriguez. On the first day of filing for the March primaries, Romo said Monday that she plans to run in the 35th Congressional District. “I will probably file this coming Friday,” she said. Romo served two terms as a state representative before first winning the seat of tax assessor-collector in 1996. She declined Monday to provide her age. Bexar County records list her as 68. Rodriguez, who is 64, has already filed. I know nothing about Ms. Romo so I don’t have a preferred candidate in this race as yet. As I’ve said before, I’d like to see the next generation of leaders step up and take advantage of opportunities to move up the ladder, but it doesn’t look like that will be the case here. In any event, as this is a fairly strong D district, I’ll be rooting for whoever promises to be the best progressive candidate. We’ll see how it goes. As the story says, it’s the end of an era. Rep. Charlie Gonzalez said Friday he will not seek re-election, a decision that will end the congressional tenure of a Democratic family whose name has been synonymous with the city of San Antonio for more than half a century. His decision not to run for another term ends nearly 50 years of representation by the Gonzalez family. It also presents a political opportunity to state Rep. Joaquín Castro, twin brother of San Antonio Mayor Julián Castro. The Democrat likely will seek Gonzalez’s 20th Congressional District seat, his spokesman Cary Clack said. Former U.S. Rep. Ciro Rodriguez, another Democrat, is eyeing the newly redrawn 35th district in which Castro originally intended to run. “It’s about having lived in this district almost my entire life,” said Rodriguez, who previously served in the 28th district before being ousted by Rep. Henry Cuellar, D-Laredo, and in the 23rd district before losing to Rep. Quico Canseco, R-San Antonio. And just like that, the redrawn Congressional map may have eliminated the need for two potentially contentious Democratic primaries. In the case of Doggett versus Castro, that’s surely a good thing, as it will avoid a ton of bad karma and hurt feelings. In the case of Ciro Rodriguez and Pete Gallego, who now has a clear path to the CD23 nomination, it may or may not be so good, as a primary would have helped Gallego raise his name ID and get him up to speed for this next level. On balance, it’s probably a positive, but you can make a case the other way. The Trib confirms that the dominoes will fall as described by the story, so this gives Texas Democrats a good chance to boost its bench without losing Doggett’s strong progressive voice. It will be interesting to see if Castro will represent a leftward move from Gonzalez, who was a strong voice on a number of issues but typically “centrist” on things like the environment. Regardless, it’s better to have the open seat in a Presidential year, when turnout should not be an issue. I thank Rep. Gonzalez for his service and wish him well in whatever comes next. BOR and News Taco have more. State Rep. Pete Gallego has decided to run for Congress in CD23. 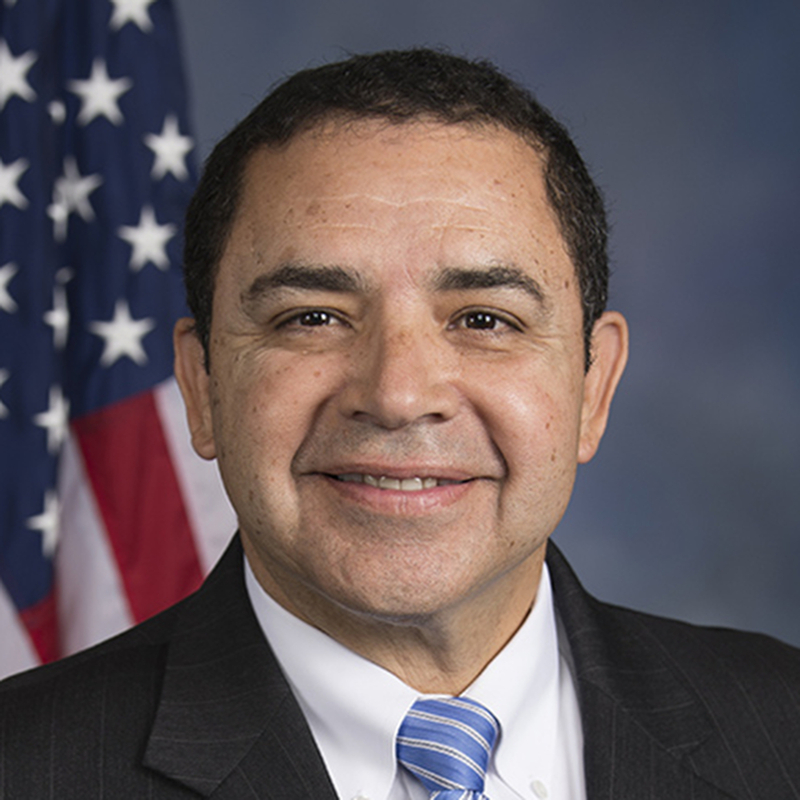 Gallego first won election to the Texas House in 1990 and has chaired various committees and also been part of the Democratic leadership, doing time as head of the House Democratic and the Mexican American Legislative Caucuses. That’s made him known to state and national Democrats who might be willing to help him in a congressional contest. The district runs from San Antonio west to El Paso and includes all but five of the Texas counties that border Mexico. San Antonio lawyer Manuel Peleaz, a Democrat, decided this week not to run for that congressional seat. He says he got lots of encouragement at home from others in San Antonio but that Gallego has locked down most of the important supporters west of Bexar County. That sets up as a “cage match,” as he put it, between Gallego and [former Rep. Ciro] Rodriguez, and with others, including John Bustamante, son of a former congressman, who announced as a Democratic candidate last month. I’ve said I want to see new blood, and this counts as new blood. Nothing against Rep. Rodriguez, but Rep. Gallego has been an outstanding member of the Lege and will no doubt make an excellent Congressman. I’m a little concerned because Gallego’s legislative district is less solid than others, but Dems should still be favored to hold it. And hey, if you never risk anything you’ll never gain anything, either. I wish Rep. Gallego the best of luck. There’s another primary battle to the west of CD23 as well. Former El Paso City Councilman Beto O’Rourke said today that he will challenge longtime El Paso U.S. Rep. Silvestre Reyes in the Democratic primary election next year. O’Rourke, who served on the City Council for six years before leaving the post this year, has long considered a congressional run, so his decision is not a big surprise. But it does set up another big political brawl in this city known for bruising Democratic melees. “This is going to liven things up here,” said El Paso County Democratic Party Chairman Danny Anchondo. Reyes and O’Rourke come from two long feuding camps in the local Democratic Party. 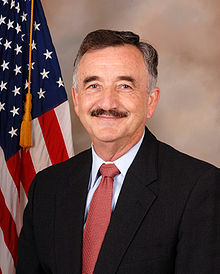 Reyes, a former U.S. Border Patrol sector chief who was elected to Congress in 1996, is leader of the more conservative, establishment Democrats. O’Rourke, who runs a technology consulting and web design firm and is the son of a former El Paso County judge, is aligned with former state Sen. Eliot Shapleigh and more liberal, progressive Democrats. CD16 is solid Dem in the new map, with Obama getting over 65% and Sam Houston 68%, so there’s certainly something to be said for this kind of challenge. Even if you lose, you can help shift things in a positive direction. Beyond that, I don’t know enough about either of these gentlemen to say anything more. I just hope the campaign energizes the Democratic electorate out there. A bit closer to home, there will be a high profile primary fight in Travis County. Former Judge Charlie Baird, who had previously formed a committee to explore running for Travis County District Attorney, announced on his website [Wednesday] that he will indeed run for the position. Baird will face incumbent Rosemary Lehmberg in the March Democratic primary. Baird served four years as a district judge and did not seek re-election last year. He was a judge on the Texas Court of Criminal Appeals for eight years during the 1990s. Lehmberg has been district attorney since January 2009 and has worked as a prosecutor in the Travis County District Attorney’s Office since 1976. As I said when I noted Baird’s initial interest, I don’t have any preference in this race. I have no complaints about Lehmberg, and as far as I know Baird was a good judge. As with CD16, I hope this is the kind of campaign that gets people fired up in the good way. On the Republican side, Robert Miller has a number of updates. The main thing you need to know is that Dennis Bonnen’s brother may be in the Lege as well in 2013. Urk. Finally, a candidate announcement that isn’t a contested primary. If the name Keith Hampton sounds familiar it’s because he appeared on your ballot in 2010 as the Democratic nominee for Texas Court of Criminal Appeals (Place 6). [Thursday], he announced that he’s running for the statewide, all-Republican court in Place 8, currently held by Rick Perry appointee Elsa Alcala. Like pretty much all of the downballot candidates last year, Hampton’s race got buried by the Governor’s race. Hopefully he’ll be running in a much less hostile environment next year. The Democratic field in CD23 has gotten bigger, and may grow again. Manny Pelaez, a trustee of VIA Metropolitan Transit, has filed a statement of candidacy for Congressional District 23, a seat held by U.S. Rep. Francisco “Quico” Canseco, R-San Antonio. Pelaez, 37, is running as a Democrat. That pits him in the March primary against declared candidate Ciro Rodriguez, a veteran Southside politico whom Canseco defeated last year. Pelaez was out of the country and not available for comment Monday. State Rep. Pete Gallego, D-Alpine, said Monday that he’s considering a challenge in District 23 but had not decided to run. “I certainly think that if I join in the fray, I’d do fairly well,” he said. Other than what’s in this story, I know nothing about Mr. Pelaez. Rep. Gallego is a valued member of the House Democratic Caucus, and his departure would be a loss if he chooses to run for CD23, but that’s what having new blood is all about. I will wish him all the best if he decides to jump into this race. I have nothing against Ciro Rodriguez, who was and would be a good member of Congress, but as I’ve said before no one is entitled to a nomination. A little competition would be good for everyone. More to the point, having viable candidates run for offices that are currently held by Republicans is a healthy and necessary step for 2012 and beyond. We’re not going to get anywhere if we don’t run some races we could lose. Scott Stroud reminds me that the Democrats do have a candidate for that other Congressional race in Bexar County. Although Democrats are already buzzing about the looming Interstate 35 tussle between Congressman Lloyd Doggett and state Rep. Joaquín Castro for a new congressional district, Congressman Francisco “Quico” Canseco’s defense of his sprawling district might turn out to be the better story. Canseco, so far, has one declared opponent — the man he defeated in 2010, Ciro Rodriguez. But while Doggett and Castro are fighting over a sure Democratic seat, national Democrats will need to reclaim District 23 to have any shot at a congressional majority. And yet the list of Democrats who looked at District 23 and passed keeps growing. It includes Castro, former City Councilman Justin Rodriguez, state Reps. Mike Villarreal and Trey Martinez Fischer, and state Sens. Carlos Uresti and Leticia Van de Putte. Republicans, meanwhile, seem content to let Canseco defend his turf. He’s one of a handful of Hispanic Republicans in Congress, and with America becoming more Latino in a hurry, that’s an asset the GOP wants to build on. That helps explain why lawmakers added GOP voters to District 23 — and removed Hispanic voters in favor of others less likely to show up. That might not withstand a challenge in the court battle over redistricting — another reason it’s puzzling that so many contenders took a pass. I don’t find that part so puzzling. If the Justice Department takes action, it will happen before the filing deadline. If it’s left to the courts, there won’t be a final ruling for years; likely not till the 2016 election, as I’ve suggested before. Ciro Rodriguez is an acceptable candidate if not a terribly exciting one – Stroud says “this race cries out for a jolt of new energy” and I don’t disagree with that. He’ll need to do better on the fundraising trail – his July report shows $98K raised and $51K on hand, while Canseco greatly improved his position with a $579K haul, leaving him with $481K on hand. Not insurmountable, especially if the winds shift back, but quite a decent head start. I’m glad there is someone with experience running in CD23, but my concern that this race isn’t getting the attention it deserves remains. The Fix makes a few curious statements about the proposed Congressional redistricting map for Texas. Despite the Lonestar State voting 55 percent for Republicans in the 2008 presidential race, the GOP-controlled legislature’s proposed map features 26 districts that went for Sen. John McCain (R-Ariz.) out of a total of 36 districts, according to a Fix analysis based on data from the Texas Legislative Council. That’s 72 percent of districts that favor Republicans on paper. The big changes are the four new districts the state gained in the decennial reapportionment process thanks to its rapid population growth. Of the four, three lean Republican while one is solidly Democratic. The other big change is the shifting of Rep. Lloyd Doggett’s (D-Texas) district from a strongly Democratic district to a strongly Republican one. The new Republican-leaning districts went 53 percent, 57 percent and 58 percent for McCain, while the Democratic district went 38 percent for McCain. Doggett’s district would go from 40 percent McCain to 56 percent. In effect, Republicans appear to be trying to give themselves a good chance to gain three of the four new seats, leaving Democrats to gain just one. If The Fix’s math here were correct, that would be a net gain of four Republican seats – three new ones, plus the eradication of Lloyd Doggett. As we know, however, two of the four “new” seats are Democratic – CDs 34 and 35 – so two new R seats plus Doggett’s is what takes them from 23 to 26. The result is a map in which there are 10 very safe Democratic seats — McCain didn’t take more than 40 percent in any of them — and 26 districts that went at least 52 percent for McCain. The fact that there is no district that went between 40 percent and 52 percent for McCain suggests a carefully crafted gerrymander. Of those 26 McCain districts, the GOP presidential nominee took less than 60 percent of the vote in 13 of them, which suggests they could be competitive under the right set of cirumstances. But 2008 was a very bad year for the GOP, and McCain’s numbers were on the low end of what a Republican presidential — or congressional — candidate will likely get in any given election cycle. First, it’s not clear what he’s basing that statement about where McCain’s numbers might fall on the spectrum, other than perhaps a reflexive “Texas is a red state” intuition. Second, there’s a surprising amount of variation between the number of votes the Presidential candidate for a given party gets in a particular district and the amount of votes a downballot candidate gets. I’ll explore this in some depth in a future post, but trust me on this. There can be a large difference, amounting to several percentage points. Finally, as we saw in 2008, nearly all of the growth in the Texas voter pool from 2004 came from Democratic voters. That likely won’t be as big and may not be as pronounced this time, but it’s not Republican voters that have caused Texas’ population surge this decade. My belief is that Obama starts out at the level he got in 2008, and is more likely to go up than down in 2012, and that’s before we consider the possibility that he might actually campaign here. About the closest thing to a swing district would be freshman Rep. Quico Canseco’s (R-Texas) big and rural 23rd district, running from San Antonio to El Paso. McCain’s vote share would increase from 48 percent currently to 52 percent under the new plan, though, so Canseco would have an easier time in what’s looking like a rematch with former Rep. Ciro Rodriguez (D). Again, you can’t just look at the Presidential numbers. In some districts, Obama ran ahead of other Democrats. In others, including the old and the reconfigured CD23, he ran behind other Democrats. As I said before, every downballot statewide Democrat other than Jim Jordan got at least a plurality in CD23, with Susan Strawn and Linda Yanez getting majorities. This district is friendlier to Canseco than the old CD23, and I call it a Lean Republican district, but it’s far from a slamdunk for him. Freshman Rep. Blake Farenthold (R-Texas) may not have an easy time, either. But his South Texas 27th district would undergo significant changes and would grow seven points more Republican. Ah, here’s the math error. If you are counting CD27 as the fourth “new” district, then you must also count Farenthold’s “old” district, which is now CD34, as one that would flip from the GOP to the Democrats, much as you counted Lloyd Doggett’s old CD25 as an R pickup. Otherwise, as we saw, you credit the GOP with a four seat gain instead of three. Which is technically a two-seat net gain – they go from a 14-seat advantage (23-9) to a 16-seat advantage (26-10), assuming they can hold onto Canseco. Among other Republicans, National Republican Congressional Committee Chairman Pete Sessions gets a two-point bump to a 55 percent McCain district in his Dallas-based 32nd; Rep. Mike McCaul (R) keeps a 55 percent McCain district in the 10th; and GOP Reps. John Carter, Lamar Smith, Kay Granger and Joe Barton all see their districts get less Republican. Freshman Rep. Bill Flores (R) would take the biggest hit, with his 17th district dropping from one where McCain got 67 percent to one where he would have gotten 58 percent. Flores would be taking one for the team, in order to add Republicans to nearby districts. But besides he and Granger (6 percent drop), no other Republican would see his or her district drop more than 2 percent, according to the 2008 presidential numbers. And clearly this was either written before the Senate modified the original into Plan C136, or it was written in ignorance of that, as Plan C136 makes Ron Paul’s CD14 a lot less red, at least on the surface. (Plan C141, which made no further changes to CD14, is what was eventually passed by the full Senate.) Stuff does happen over the weekend, fellas, especially when the GOP considers it to be in its interest to get things done before the public figures out what’s going on. Who’s running for what where? Chris Cillizza notes an old familiar face who’s back on the scene. Former Rep. Ciro Rodriguez (D-Texas) is running again after losing his seat to businessman Francisco Canseco (R) last fall. Rodriguez won the seat in an 2006 special election, after the Supreme Court found that new lines drawn in 2003 violated the Voting Rights Act. Other Democrats have expressed interest in the seat, including state Rep. Joaquin Castro, state Rep. Pete Gallego, and state Sen. Carlos Uresti. Congressional redistricting is under way at the Capitol, and a map proposed by key Republican legislators splits Democrat-heavy Travis County into five congressional districts, up from the current three-district split. The map puts U.S. Rep. Lloyd Doggett, D-Austin, into a Republican-friendly district that stretches north from western Travis County up to the Fort Worth suburbs. If the map becomes law — and that’s a long ways off from happening — Doggett may move into the newly created District 35, which stretches from southeastern Travis County, down through eastern Hays and Caldwell counties and into San Antonio. Doggett would vie for the support of tens of thousands of voters whom he has never represented in Congress before. And that creates an opening for a San Antonio Democrat to try to beat him in the March 2012 primary. Martinez Fischer said the district is tempting to him but that it’s too early to decide whether to run. A more likely candidate is probably state Rep. Joaquin Castro, D-San Antonio, who said he would not be deterred by a Doggett candidacy. “I’m interested in taking a very close look at it,” said Castro, a 36-year-old lawyer who has been in the Legislature since 2003 and whose brother is San Antonio’s mayor. Other San Antonio Democrats who might give the race a look include Reps. Mike Villarreal and Roland Gutierrez, plus state Sen. Carlos Uresti. I can say with certainty that Pete Gallego does not live in the proposed CD35, though I’m sure if the GOP could have figured out a way to extend it as far as Alpine, they would have. As for the others, I’d have to do some digging to see who actually lives where. Suffice it to say that this is a one or the other proposition for all involved. Meanwhile, in a district that has nothing to do with any state legislators from San Antonio, another potential candidate for a new seat has emerged. Former Railroad Commissioner Michael Williams, who announced his intention back in January to seek the U.S. Senate seat being vacated by Kay Bailey Hutchison, is likely to drop out of that race and instead run for a newly created congressional seat in House District 33, which contains his hometown of Arlington, sources tell the Tribune. According to the latest filing with the Federal Election Commission, Michael Williams’s Senate campaign raised just $418,000 in the first quarter of 2011, less than Cruz, Leppert and Roger Williams but more than Jones. Well, he wouldn’t significantly change the craziness ratio of the Republican delegation, I’ll say that much. He’d fit right in, in fact. And he’d no doubt raise the spirits of bow tie wearers everywhere. Beyond that, I will hope that my assessment of CD33’s partisan potential is too pessimistic. Mary Ann Perez appeared to pull off a tight victory in the Houston Community College’s District III trustee race Tuesday night. But her opponent was in no mood for a concession. The unofficial final result is Perez 2881, Guzman 2837. That may change a bit as provisional votes are reviewed and any outstanding overseas votes come in. In the end, I doubt it will matter. Pam Holm defeated Jeff Daily in the 2003 runoff for District G by only 27 votes in an election with 37,000 total ballots cast, but that result stood up after further review. The only election I can recall offhand that changed after a recount was the 2004 primary in which Henry Cuellar unseated Ciro Rodriguez; Rodriguez led initially, then fell behind after some 200 uncounted ballots were found that heavily favored Cuellar. Anything can happen, of course, but I don’t expect that.